The Orwell Prize for Political Writing (formerly The Orwell Book Prize) is one of the UK’s most prestigious prizes for non-fiction, awarded to the book or pamphlet which comes closest to George Orwell’s ambition ‘to make political writing into an art’. 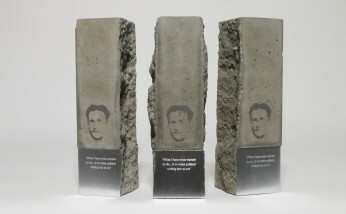 Later this year, The Orwell Foundation will launch a sister prize, The Orwell Prize for Political Fiction. Further details and a separate call for entries will be published in mid-November. Entries for The Orwell Prize for Political Writing are, therefore, now limited to works of non-fiction. Entry for The Orwell Prize for Political Writing is free. Shortlisted publishers are asked to contribute £100 towards the production and distribution of marketing materials. There is no limit to the number of entries a publisher can make. The Orwell Prize for Political Writing is open to non-fiction first published in the UK or Ireland in the calendar year 2018. Along with The Orwell Prize for Political Fiction, The Orwell Prize for Journalism and The Orwell Prize for Exposing Britain’s Social Evils will also open in mid-November. Publishers are invited to submit works of non-fiction by the deadline of Friday 2nd November. Proofs will be accepted provided publishers can submit finished copies by Friday 14th December. A full copy of the updated rules, including eligibility and process, are available here. The Orwell Prize for Political Writing aims to encourage good writing and thinking about politics. The winning entry should strive to meet Orwell’s own ambition ‘to make political writing into an art’. It should be of equal excellence in style and content – the writing must be both political and artful – and live up to the values of The Orwell Foundation. ‘Political’ is defined in the broadest sense, including (but not limited to) entries addressing political, social, cultural, moral and historical subjects and can include pamphlets, books published by think tanks, diaries, memoirs, letters and essays.